The title can be edited here. A description can be entered here. A URL to a website with additional information can be entered here. 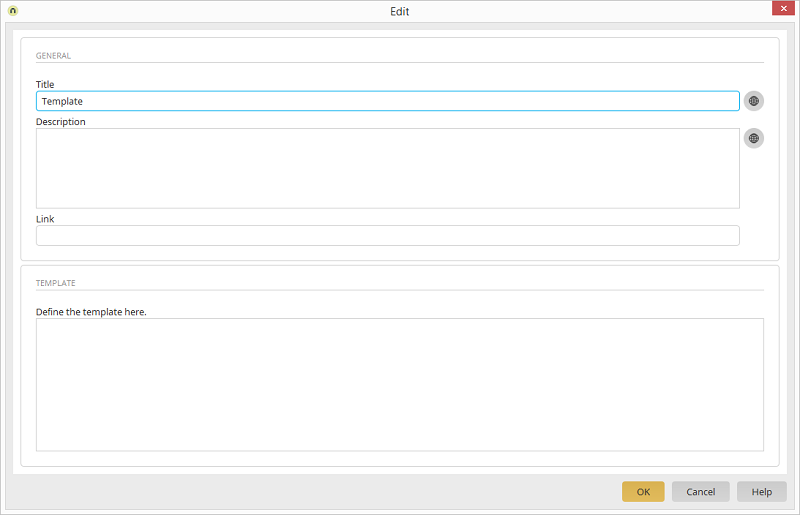 Opens a dialog where the title or description respectively can be entered in multiple languages. Click here for more information.